Upgrade to Black Upright and Base? 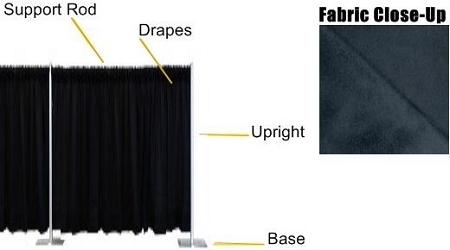 Our Commando drape is Flame Retardant (FR) and meets the requirements of the NFPA 701 fire code. 100% Cotton drapes are topically treated with fire retardant and should not be washed (see Laundering tab for information). This heavy weight fabric has a felt/suede-like finish one side and a lining on the reverse. As a standard drape, the rod pockets are sewn so that the felt/suede side is front facing. Edges are serged. Drape opacity is approximately 99% light blocking. This range is an estimate only, for normal / standard lighting situations. Many factors can affect the opacity of a fabric, including where it is being used (near a wall vs. dividing the middle of a room), light sources, and the amount of fullness in the material (the amount of bunching / gathering). Black Powder Coated upgrade for Upright and Base is available via the optional checkbox. 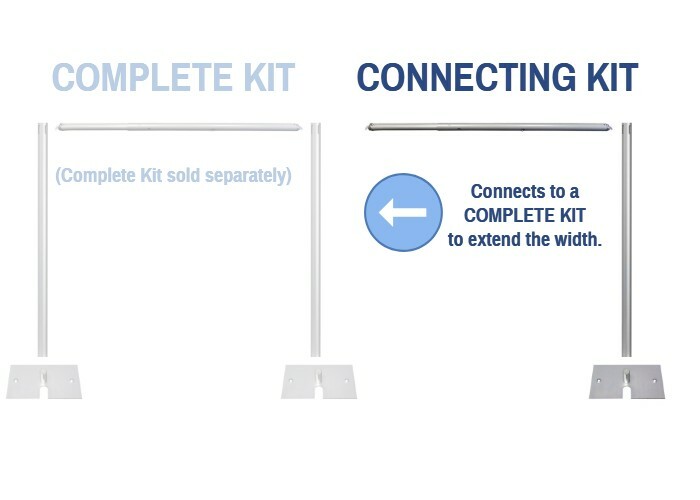 Choosing this option may result in a slightly longer production time before shipping. 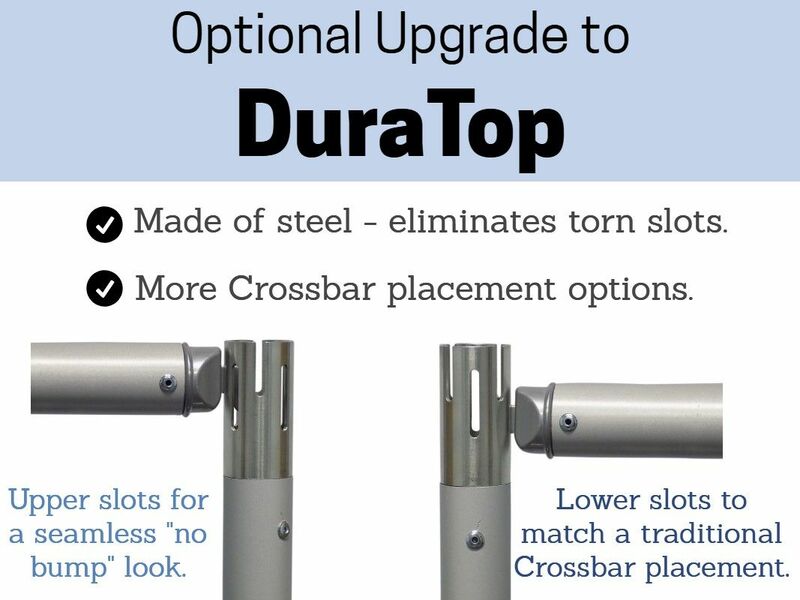 Available with an optional DuraTop upgrade (click to learn more about the benefits of DuraTop uprights). If you choose the Black upgrade and the DuraTop upgrade, please note that the DuraTop piece is silver in color. This item typically ships within 4 business days*. Large orders, selecting the Black Powder Coated upgrade, and/or orders with ECONOMY SHIPPING chosen as the shipping method during checkout (when available) may have an additional production lead time before shipping.